A restaurant in Dokki called "Kebda w Shawarma" announced that it will provide Shawarma (meat), hot dog and liver sandwiches for free for one hour every day to needy people. The initiative, announced last month, attracted long queues of needy customers during the 'happy hour'. The initiative, beside being charitable, served as a propaganda for the restaurant, Reuters and Monte Carlo Radio quoted restaurant director Khaled al-Shimy as saying. "Our prices are affordable. The price of the liver or hot dog sandwich stands at LE3 … while a Shawarma sandwich stands at LE8," he added. Very poor people cannot afford the prices of sandwiches though, so the restaurant's owners suggested providing sandwiches for free for one hour daily, to help people through the economic crisis, beside being a propaganda for the restaurant. Each customer can have up to five sandwiches for free, not to exceed a value of LE20 on the menu, though. The restaurant does not specify a limit on the number of needy customers that can be served sandwiches throughout the happy hour. A customer called Mohamed Bayoumy praised the restaurant for their charitable initiative. "Some people can't afford food, so yes, it is definitely a good thing … You can see the number of people standing here who need food but cannot afford it. We're talking about a good meal for lunch in a place like this, that's all we need!" he said. "Kebda w Shawarma" employees are shareholders in the restaurant, so they receive a margin of profits instead of salaries. The collective ownership of the restaurant can better afford to provide free service to customers, said head chef Ahmed Samir: "All employees contribute to the restaurant. Each one has a certain task within the scope of their expertise to focus on." "We are making a business, instead of being employees for an owner … Solidarity is strength," Samir added, while smiling broadly. Taxes as well as inflation rates have recentlysoared in Egypt, adding to the suffering of millions of Egyptians already under the burden of poor economic conditions. The Egyptian government took economic reformatory measures by the end of 2016, including the gradual decrease of subsidies and the flotation of the pound in November. The pound then lost nearly half of its value, which led in turn to a significant increase in the prices of goods and had a negative impact on the living standards of Egyptians, particularly in Cairo. In addition to the price hikes, Egyptians have been facing shortages of basic goods such as medicine and sugar. Those measures were part of economic reforms to meet the conditions for a US$12 billion loan from the International Monetary Fund, which was approved later that same month. Economists expect further price hikes in Egypt this year, in light of the government's reformatory plan. 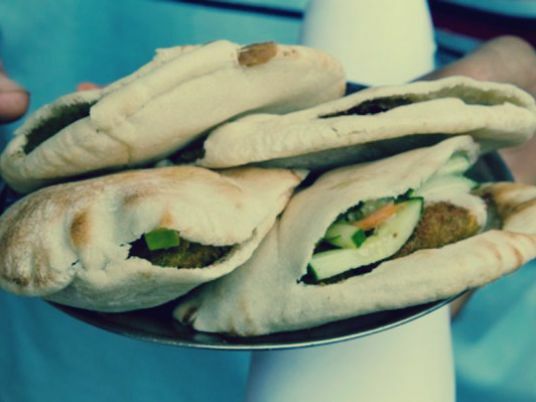 The owners of "Kebda w Shawarma" said they do not plan to suspend the initiative soon though, despite harsh economic conditions, and that new branches are already in the pipeline for other Cairo neighborhoods.